Whilst listening to the ethereal voice of Björk, it occurred to me that those maestros of their craft have secured their indelible placements atop the rabble by finding the perfect balance of art, audacity, and genius. It is this balance that many have failed to attain in a desperate attempt to simply be taken seriously. Björk, along with a select class of musicians, artists, and filmmakers, has gone beyond the need to be validated in her aims. She has managed to seek the respect of the very gods and muses that created the lens through which humanity seeks to view the complexity of their lives. In like fashion, Guillermo del Toro has managed to step beyond the scope of what is profitable and given voice and shape to the intangibly abstract idea of beauty. Though aesthetics seem to govern the manner in which we as humans gauge the truly magnificent, del Toro has, in as few as 20 years, given the seemingly magnificent a touch of pure beauty. Del Toro’s kaleidoscope of colour and shade have shaken the mainstream film industry, so much so that the resulting images are nothing short of psychedelic palindromes – as gorgeous and frightening from the beginning as they are at the end. It’s one thing to sing the praises of a genius, it’s quite another to dare to delve deeper into his work to puzzle out the seemingly unbelievable and find that beauty of this magnitude is certainly accessible through the eyes of mere mortals. This, my dear hearts, is what I will attempt to do right now. 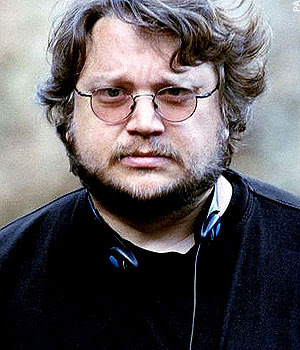 Beginning with his own special effects company in Guadalajara, Mexico, Guillermo del Toro sought to bring maturity to the explosions and larger than life action sequences that were prevalent in the late 80s and 90s. Stemming from his love of the fantastic, del Toro aimed for a more innovative approach to storytelling that, while creating an entirely new perspective on the sensational, borrowed from the basic principles of storytelling: excitement, exploration, and imagination. Regarding his producing début, it can be said del Toro definitely had an eye for the emotional. 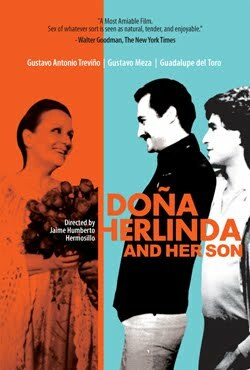 Doña Herlinda y su Hijo is a film that delves into the story of two male lovers --Mancho and Rodolfo-- living under the roof of the latter’s mother. Though taboo for the time, 1986, it’s obvious that del Toro’s craft for detail and the personal are in the developing stages. It’s no great film by any means; however, del Toro knew how to give the story depth --even if the characters were lacking in it-- and give the audience a sense of connection within the confines of the film. This being del Toro’s first big-budget feature, I was surprised at the maturity and complexity that he was able to manifest with his take on the classic vampire story. Stemming from the loss of his grandfather, del Toro managed to create a film that not only expanded the very understanding of the vampire genre, but also managed to give even the soulless tenderness. As writer, director, and DP, del Toro already showed signs of being completely dedicated to the craft of making the fantastic equally gorgeous. Already one is able to glean del Toro’s profound understanding of lighting and shadow --pre-El Espinazo del Diablo, I truly understood that his attention to detail and adoration of ominous shadow is as much a part of the plot and story as the characters and the script. Telling the story of an antique shop owner’s encounter with an ancient machine known as the Cronos, this film proved to be one of the most promising debuts from any up-and-coming director/producer. It was a film of great promise, elegance, and courage (del Toro’s love of the unknown even extended to a relatively unknown American actor named Ron Pearlman). It’s del Toro’s fascination with intimacy that gives Cronos its deliberate staging and lighting, forcing the audience closer and closer to the moments in between the drama --the space in which breath is simply breath. It’s from this film that I began to truly see the intention of the man who would be considered an artisan among artists. At this juncture in del Toro’s career, we begin to see the transformation from the simply entertaining to the challenging. He begs a very distinct question: how do you exploit the base fears of humanity while giving the wicked beauty? El Espinazo del Diablo manages to do just that. 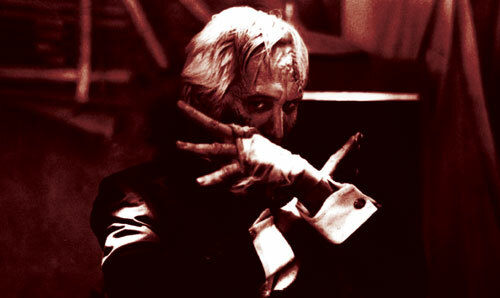 It was his intention to explore a very primal fear within all of us --the fear of decay of the flesh. By truly making the flesh a canvas for the spectacular beauty hidden within nature, he was not only able to create a film thick with eerie humanity, but also give the ghost in the ghost story a paintbrush by which he could communicate with the audience. One of a series of films that del Toro set during the Spanish Civil War, El Espinazo tells the story of a young boy named Carlos living in an orphanage until his father returns from conflict. 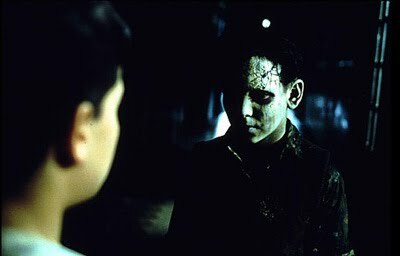 Throughout the film, Carlos is visited by the spirit of an orphan murdered during his stay. Santi, our wandering spirit, reaches out to Carlos in order to gain closure to his afterlife. What is most apparent in this film is that del Toro understands that the psyche of the child is more willingly complex than an adult’s, and therefore creates richer labyrinths through which the audience must navigate in order to come to peace with their own mortality. Within the context of exploring primal fear, del Toro also further enhances natural beauty using marvellous lighting and shocking shadow rendering. 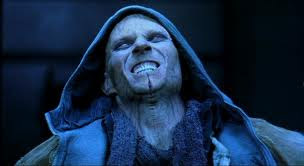 The second in the popular Blade franchise, this film blended del Toro’s fascination with environment with the universal love of mystic action. Never mind the modern understanding of vampires, Blade had always been a mature and oddly realistic rendering of the genre. What’s so striking about the sequel is that, while the story wasn’t mind blowing, the visuals were unconscionably stunning. The most interesting aspect of the film was del Toro’s strategic placement of light versus movement. The silhouette became a palette of its own, a splendid twist on gravity --that which pulls also pushes. The lighting pulls the movement while the movement pushes the viewer’s eye to expand its scope and breathe in the expansiveness of each frame. His spatial perfection is worthy to be praised as something undeniably unique even in a genre that may have at that point been spreading itself thin. Perhaps the most definitive mark of one’s genius is his ability to follow a formula without becoming at all formulaic. In the hands of lesser men this is an all but impossible feat. Very few have found a way to manage the nuances of their style and capitalise on them in such a way that they remain innovative. Del Toro has redefined himself by taking the helm in every respect and giving his audience the full breadth and scope of his imagination. El Laberinto del Fauno presented del Toro to the world as a maven of the craft. Writing, directing, and producing the film allowed him the opportunity to take his fantasy to the pinnacle and broaden the glory of phantasmagoria with his own interpretation of the child psychology. El Laberinto is again set in the era of Spain’s civil war. It follows the adventures of Ofelia while exploring the darkness that envelopes a country and a family in the clutches of a tyrant. El Fauno introduces Ofelia to the wonder of her imaginary kingdom, promising Her Highness the richness of her mystical land as well as her inheritance as the true heir to said kingdom. Throughout the film, I was spellbound by how utterly hypnotic every aspect seemed. I was drawn into the story of Ofelia’s desire to give life to the death surrounding her. In the midst of the Spanish conflict, her mother is also expecting to give birth any moment and her father --the tyrannical Vidal-- is of the school of thinking that worships the heir to his estate and takes little heed to the whims and fancies of a young girl struggling with the destruction she’s forced to live through each and every day. However, the most inspiring aspect of the film was del Toro’s unrelenting sense of the fantastic. Through his script he was able to mould a mature and complicated story, but with his direction and production he wove complex tapestries of environment and ambiance. It is this unrelenting sense of craft and pure beauty that makes El Laberinto del Fauno one of the most inspiring films of the last 20 or 30 years. An artist is only as profound as his most recent work. Splice gave del Toro the license to explore sci-fi while maintaining a very human element that tends to go missing amongst the aliens and conspiracy theories. As with The Matrix 20 years before it, Splice was able to delve into the human psyche and produce something that explored our deepest fears, regrets, and grossest curiosities. What is it to want so desperately to love another that you’d go so far outside of the realm of morality and human decency to produce it? The primal question stems from the boundary between the moral and the socially revolutionary. Splice forced the viewer to find out if she could truly consider the fear of the unknown less intimidating than her internal sensitivity to what is essentially human. With del Toro’s production style, again you feel this internal struggle with each character. It’s his ability to tap into the genuinely human and explore the depths of that humanity that make this film much more than a scientific perspective of fiction. With each of his films there is great depth and truth. Though Guillermo del Toro’s résumé reads like an expressionist comic book, it’s worthy of as much praise and adulation as can be mustered within the human spirit because it transcends the human spirit and gives the abstract form. It’s one thing to be in love with what you do, it’s quite another to give love to others through your craft. So, indeed, it was while listening to Björk that I began to write this blog. It’s also in the spirit of the album (Vespertine, should you be curious) that this blog was inspired. Consider it my love letter to uncorrupted art --that which embraces technique and produces something resembling the wings of a butterfly. Article writer by day, renegade poet by night, Camiele White loves any and everything film. She chases only the original (or incredibly funny) and has been known to talk for hours about subjects that most people just don’t care about. Right now, she gets her jabberjaw jollies writing about costumes for Halloween. If you want to give her a buzz, she can be reached at cmlewhite at gmail [dot] com. Terrific filmmaker and one that I'm always on the look out for when it comes to new releases. I love his visual style and imagination. He also has an ability to breath new life into tired genres and storylines. Excellent overview of his career to date. Thanks Dan for stopping by. Couldn't agree with you more. An excellent writeup by Camiele indeed. Although I was very impressed with Pans labyrinth visually,I couldn't help thinking I had seen the story before in another movie, which took some of the edge off my experience. I just remembered, "Pans labyrinth" is similar to "Life is beautiful" . If by Life is Beautiful you meant the Roberto Benini movie on holocaust, I wouldn't agree with you that Pan's Labyrinth was similar to it. But if you meant some other movie, then of course I'm not aware of it and would love to watch that movie. I'm saying this because I personally loved the movie and found it to be far more than just visually enthralling. Thanks for posting your views. Escaping the horrors in a fantasy seen through the eyes of a child. The time they are set in WW2 is also the same, I believe. I realise they differ in other areas like one being a comedy. As I see it, in Life is Beautiful, there's no fantasy as such, its just that the father creates a make believe situation to shield his son from the horrors of the concentration camp. 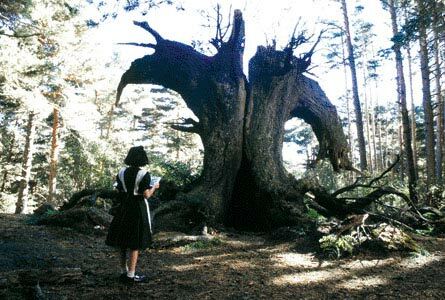 In Pan's Labyrinth, on the other hand, the child herself conjures the fantasy in her mind as a defense mechanism against what is happening around her, and more so as a means to combat loneliness and fear. So you see, there exists fundamental differences in the plot too. Further, as you noted, their treatments are also very different. Where the former was a bittersweet with elements of satire, the latter was unflinchingly dark, though also heartbreaking. Terrific consideration of Del Toro's career! I found myself in a small minority with PAN'S LABYRINTH, though I can't deny it was often poetic and breathlessly beautiful. For me the sadistic elements took hold and mitigated the delicacy. Yet the final sequence was emotionally overwhelming, and the visual artistry throughout was at the forefront of Del Toro's creative output. Oddly enough (despite some missteps) I liked SPLICE, which many viewers abhored. It was nice to get the examination here of the early stuff in this obviously passionate call for a re-evaluation. Thanks a lot Sam for stopping by and joining in the discussion. Well, as the sadistic aspects which you've referred to, they made the film that much more heartbreaking for me. And the fact that the film is essentially from the POV of the young girl, and given that children tend to look at things as black and white, this aspect of the film made far more sense to me than it would have otherwise. There are few films of del Toro that I'm yet to see (e.g. Splice & Dona Herlinda & her sons), and would like to watch them sooner rather than later, as I too have heard good things about them. Nice Blog i like your blog with great and news topics thanks for share.